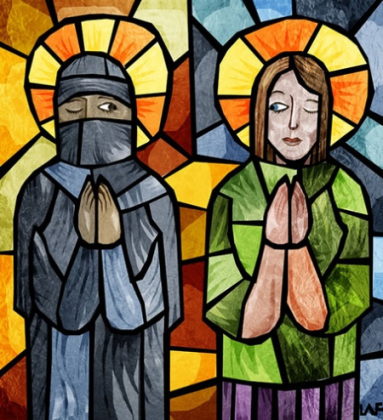 Can a Muslim be God’s Voice to an Evangelical Christian? I once lived with a Muslim family for two years. It was extremely challenging, but not in the ways I expected it would be. I lived with the Muslim family in their house near the center square of the capital city of Albania. There were nine of us in a relatively small space. Added to the cramped conditions was the fact that running water flowed only a few hours a day, electricity was intermittent, and food variety was limited. But I found none of this too difficult, even though Albania (Muslim, Balkan, post-Communist, poor, Mediterranean) could not have been more jarring to my affluent, American, “white,” Baptist upbringing. What I found most challenging was this: They loved me. They loved me not only in a pat-you-on-the-back landlord sort of way. My Muslim family loved me like a son, which included caring for me as their spiritual responsibility. This took particular force in the person of my hunched and humming Albanian grandmother. She was the first face I saw each morning, and at night she would lovingly touch my shoulder and say “sweet sleep.” She also pastored me. She encouraged me when I was low, blessed me as I went about my work (which, by the way, was Christian missionary work) and she told me about God’s love for me. She challenged my Christian training and my American pragmatism. She was a dawdling, superstitious Muslim. How could I allow her to be God’s voice in my life? What am I to do? Seriously. How do I understand all the folks who cross my path and don’t fit my theological categories? As a devout Christian, what am I supposed to do with the non-Christians I have known who are kinder than most Christians, purer than most Christians, and seemingly more connected to God than most Christians? Even more troubling, what am I to do with religious outsiders who are spiritually wise and speak that wisdom into my life? Am I allowed to accept their wisdom or am I required to sit in perpetual suspicion? Gay and lesbian Muslims are holding a two-day conference in Detroit this weekend featuring a gay Muslim leader who grew up in Detroit. Called the “Queer Muslim Gathering,” the event is hosted by Kick, an African-American gay and lesbian group based in Detroit, and Muslims for Progressive Values. “We feel it is important for LGBT (Lesbian, Gay, Bisexual, Transgendered) Muslims to be included as equals into the straight Muslim society,” said Imam Daayiee Abdullah of Washington, D.C., director of LGBT outreach with Muslims for Progressive Values, based in Los Angeles. 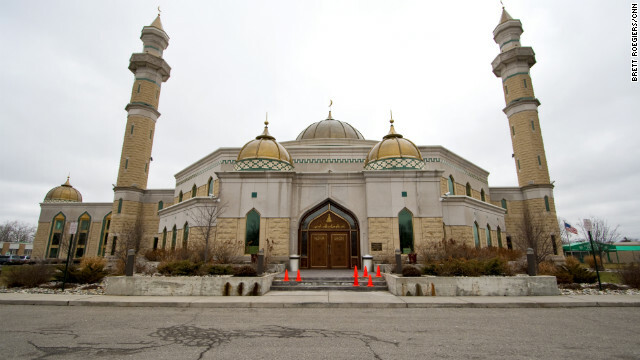 Abdullah, who grew up a Southern Baptist in Detroit and later converted to Islam, is the imam of Light of Reform Mosque in Washington, D.C., which has gay members. The conference starts tonight with a meet-and-greet followed by an all-day workshop. Topics to be discussed at the conference are homosexuality and the Quran, Islam’s holy book; how to develop prayer spaces for gay Muslims; and debating what is halal, or legally permissible in Islam. CAIRO – Rejecting of their hate message against Muslims, many Swedes have showed up in the southern city of Malmo to protest against a far-right group, leading to abort the anti-Muslim rally. “There were angry skirmishes after the anti-racists marched from Möllevångstorget square to the Stortorget square around noon, a lot of people seemed ready for a fight,” said The Local’s Patrick Reilly from the scene. “They were pushing over barricades, setting off flares and some threw bottles, and went up against the police,” he said. 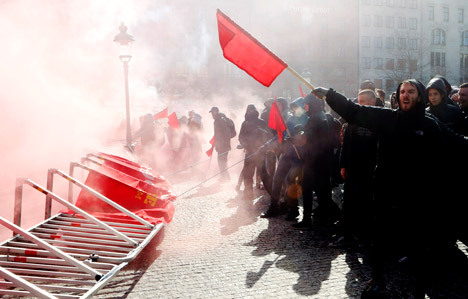 Clashes erupted after hundreds of Swedes gathered to counter a planned rally by the far-right Swedish Defence League (SDL). Some demonstrators used a Eurovision awning on the square to beat out a rhythm, chanting “No racist on our streets”. One banner hoisted above the march read “No Breivik Soldiers on our streets,” in reference to far-right Norwegian killer, who killed dozens people in twin attacks in Oslo in 2011. The SDL rally lured only 20 members. From the start, Benedict put less energy in reaching out to other religions than his predecessor, Pope John Paul II, who blazed the trail for Catholic relations with Muslims and other religions through his tireless travels and scores of meetings and prayer with imams around the world. 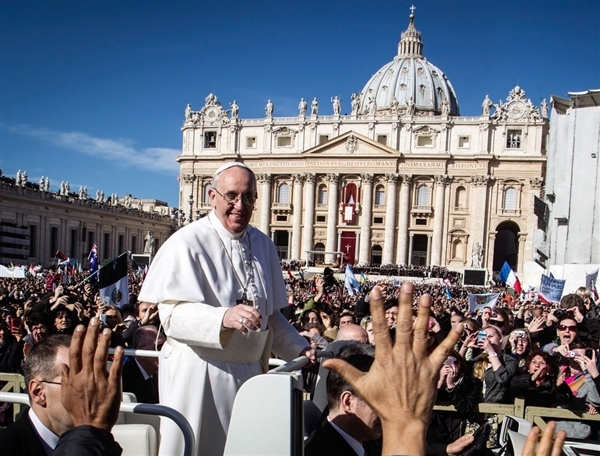 Under John Paul, the Vatican launched the World Day of Prayer for Peace in 1986, which was at first a hard sell for prominent Muslims, said Father Thomas Michel, who has a PhD in Islamic studies and headed John Paul’s office for Islam for 13 years. 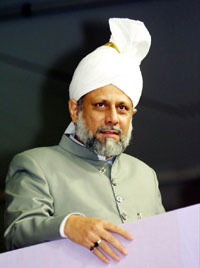 “If any Church or other place of worship stands in need of protection, they will find us standing shoulder to shoulder with them.” His Holiness Mirza Masroor Ahmad – the worldwide head of the Ahmadiyya Muslim Community, the fifth successor of Mirza Ghulam Ahmad of Qadian and the only existing Muslim caliph – said this to Pope Benedict XVI in a hand-delivered letter on Nov. 10, 2011. These words of mutual understanding and protection fostered a true building of an interfaith bridge in the future between Christians and Muslims so that they can work together for peace and absolute justice in the world. Recently, Ahmad echoed further words of mutual understanding to Pope Francis I by congratulating him on his election: “First of all, I would like to offer congratulations to Pope Francis I and to Catholics across the world.” In the same spirit, I reiterate these words for Pope Francis, too. Some people might be shaking their heads when reading this and equating it to a utopian fantasy. Any reasonable person would be dismayed by analyzing the current Christian-Muslim situation that exists around the world. This bleak outlook begins in Pakistan, where recently a mob of 3,000 Pakistani Muslims went to a local Christian town, aptly named Joseph Colony, and burned down 150 homes without provocation. Not only is this a very tragic incident, but it has created a sense of distrust between the Christians and Muslims. This can be labeled as just another isolated incident, but then it would be tantamount to being dishonest to what is really going on here. 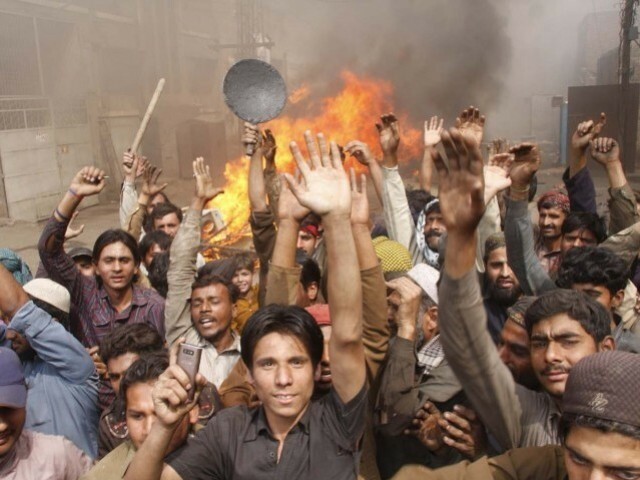 I don’t know much of the specific background of the anti-Christian rampage last week in Lahore. But is there anything I don’t know that would mitigate or excuse it? A major theme of my writing and public speaking is an insistence on distinguishing between what I call the Pakistan I know and love – a rich, diverse, fascinating smorgasbord of humanity – and the distorted, two-dimensional Pakistan that most Americans see on TV. But when what they see on TV is Muslim Pakistanis burning crosses in a Christian neighbourhood, it makes it even harder than usual for me and other friends of Pakistan to make a case. It’s all too true that Pakistanis and other Muslims are unfairly stigmatised and victimised in America. But anyone who would point that out in this particular context, as any kind of excuse would be playing a shameful politics of distraction. As an American, I feel shamed by the ways that my society mistreats Muslims here. By exactly the same token, Pakistan and all Pakistanis are shamed by mistreatment of Christians in Pakistan. What happened in Lahore is not political or religious terrorism, although surely it has the effect of terrorising Pakistani Christians, but simple bigotry and bullying. Pakistani Christians are not Americans or Westerners, and to mistreat them as if they were somehow responsible for America’s sins is the crudest and ugliest kind of scapegoating.